Stumbled on this font in Behance just a few day ago. It’s super stylish font and can see some uses for this in a few specialised logo design projects. I try to avoid the many free font websites due to the sheer volume of dodgy and overused quantities of free fonts. It’s still in beta and only available as a vector file of characters. Reading the comments on Behance, they are a few small issues with some of the characters looking similar. But if you are selectively using letters for a short name in a logo, then I can’t see any reason why this would cause an issue. 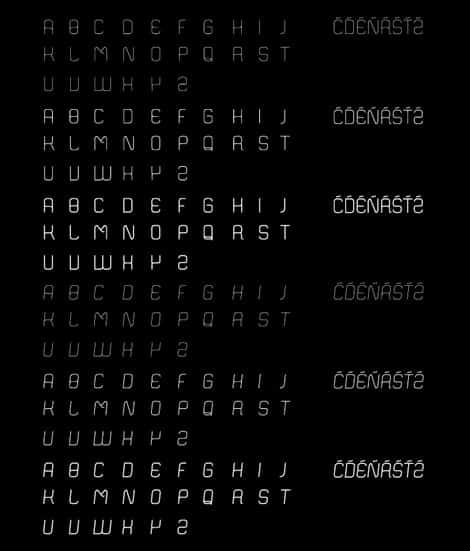 I emailed Filip to enquire if this ‘Matey’ was available as a proper installable font but sadly, as of this moment, it only exists as a vector character set which you can download.